Mike Nichols died yesterday. As my contribution to the memorial, here is the essay wrote about him in a book called Transformations. It describes his role in the creation of American improv. Mike Nichols is an American director of plays and movies, the latter including The Graduate (1967), Silkwood (1983), and The Birdcage (1996). He is married to Diane Sawyer, a journalist. He was feted at Lincoln Center’s Avery Fisher Hall, where his “lifetime achievement” in film was celebrated by 3000 people, including Richard Avedon, Itzhak Perlman and Barbara Walters. 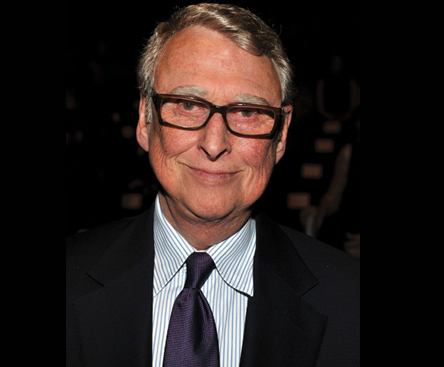 If popular culture in America has an aristocracy, Mike Nichols belongs to its titular class. Three thousand people came to celebrate, but most were there in homage. Nichols endured the pains of adjustment, though he had fallen farther than most. His advantage, an eye for detail and ear for nuance, was itself a torment. 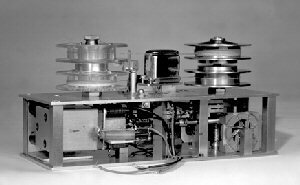 Certainly, it has the compactness, the telescopic redundancy, of an origin myth. The origin of American improv is an act of improv, first of the moment, then of the stage, then of popular culture. What Nichols and May did in the train station, they repeated at the University of Chicago, and then on the Dupont Show of the Month to an astonished America. The captive of Miss Julie and fixed theatre was released into the sheer creativity that was in any case his immigrant experience. And with improv, America finds its way into opportunities for new dynamism. The path to assimilation proves to be the steep upward ascent to wealth, glory and fame. Two people give themselves over to this single act of spontaneity and everything changes: the interaction, their relationship, their careers, and an important part of the career of contemporary culture. 1 Lahr, John. 2000. Making it Real: Mike Nichol’s improvised life. The New Yorker. February 21 and 28: 196-214, p. 198. 2 Lahr, John. 2000. Making it Real: Mike Nichol’s improvised life. The New Yorker. February 21 and 28: 196-214, pp. 202. 3 Sweet, Jeffrey. 1978. Something Wonderful Right Away: an oral history of the Second City and the Compass players. New York: Avon Books, p. 73. 4 Lahr, John. 2000. Making it Real: Mike Nichol’s improvised life. The New Yorker. February 21 and 28: 196-214, p. 204. There is some confusion in the record about precisely what was said in the train station. In the Sweet interview, Nichols says that he used a German accent. Lahr says nothing of this but suggests that May replied with a Russian accent. This may have been the two sides of the improv, but it seems to me more likely that Nichols spoke, and May replied, in a German accent. This was after all their first date. This entry was posted in Uncategorized and tagged Chicago improv, Dupont Show of the Month, Elaine May, improv, Mike Nichols, University of Chicago on November 20, 2014 by Grant. We are not a family! The truth is painfully otherwise. The organization will use the employee as long as it suits and then jettison this employee without a flicker of remorse. And often not even so much as an explanation. One day you’re there. The next day you’re gone. “Firing” and “family” never intersect in our culture. Ever. I’m not complaining about the fact that people get fired. Organizations are good at getting things done precisely because we try to stock them with all but only the people they need. I’m complaining about the use of the family metaphor to extract value from employees. Of course, you’ll give up your weekend, your vacation, your evenings and your personal lives. We’re a family! This is what families do for one another. When used for these manipulative, value boosting purposes, the metaphor is no longer merely malicious, it’s now a deliberate, exploitative, lie. So Mr. Smarty Pants Anthropologist, what’s the alternative? I think it’s to define the corporation the way we do a graduate or professional school. The first assumption is that you the employee are passing through. You will learn from what you do here, and move on. You will work heroically hard but that’s because you are working to improve and get better. As you do at a graduate or professional school. We will treat you decently because, well, you are passing through. And you will go out into the world, and speak ill or well of us. You will help recruit the next class. Or you won’t. In fact, in a perfect world, you will pass through several jobs and return us. The important thing is that superordinates are encouraged to understand the real relationship they have with a subordinate. This person is not a member of a family. This is not an enduring relationship. We’re not “all in this together.” Someday this relationship will end. And we hope you will be better for it, not used up by it. That’s in a sense is what we are here for. This doesn’t create a symmetrical relationship, nor should it, but it could help discourage the practice of giving employees big, friendly hugs…while rummaging through their personal effects. 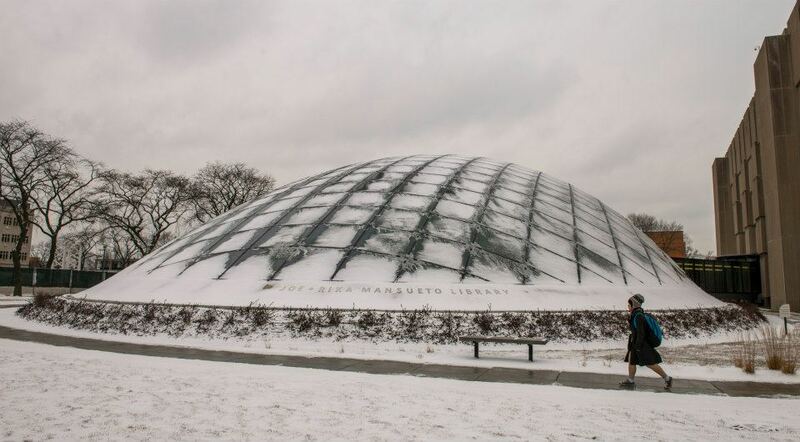 This is a library at the University of Chicago, blanket like, but covered in snow. Now that’s a metaphor. Thomas Stewart has a wonderful essay on the “team” metaphor in Fortune here. This entry was posted in Uncategorized and tagged corporation as family, family metaphor, metaphor, Thomas Stewart, University of Chicago on August 27, 2014 by Grant. The point of the Culturematic is that it can “think” things we cannot. Barry Bonds and David Brooks, these two people are worlds away. I would submit that there are virtually no naturally occurring circumstances in which their names would appear together. More to the point, they are disparate elements in a very diverse culture, so that even if we were to find these names sitting together, we would dismiss this as noise. Actively making a conjunction between them? Unthinkable. No, really, I mean this literally: unthinkable. So I was going to have to find one on line. It took all of Saturday and most of Sunday, hunting first for the right search terms and then for the code. Eventually I found The Virtual Professor. This is a wonderful invention of someone at the University of Chicago Writing Program. The VP creates spectacularly inflated pieces of academic rhetoric. The author claims his/her intent is not rhetorical. Hmm. I lifted the code from TVP and I downloaded a trial version of Adobe Dreamweaver. So now I was working with code I did not understand on a program I did not know. Not a perfect list. I was watching the English version of Being Human on Apple TV (my birthday gift) and who knows what effect this had. Two days later, its clear to me that this list ought to have cast the net more widely than it does. More sports heroes, politicians, journalists, captains of industry and so on. I mean “Rupert Murdock,” how could I miss him? Lady Gaga and Glenn Beck struggle to establish a parent-child dynamic. But was this combo when that was useful for any useful purpose? That will take some conjuring. I think it tells us at least that the postmodernists are wrong when they insist things have been draining of meaning. If this were true, this output would be less strange, less distant, less hard to put out. So now the hard part. How to change the Virtual Professor Code in order to make this Culturematic. It’s really just horrible to admit to this. I just kept making changes in the code with the hope of producing the output I was looking for. The Javanese have a metaphor for stupidity: a water buffalo listening to a symphony. Consider me so. Here’s what I “did” to the code. There must be several people out there who can do better than this. Please do better than this! I owe thanks to three inspirations for this exercise. First, to Bud Caddell for showing me that the spirit, indeed, the genius, of the Victorian inventor in contemporary guise. Third, to the Writing Program at the University of Chicago. Please would you let me know the name of the author of this program. This entry was posted in Uncategorized and tagged Barry Bonds, Bud Caddell, coding, culturematic, David Bausola, David Brooks, University of Chicago on March 30, 2011 by Grant. I am always surprised that no one bothers to tell the story of capitalism. No, the stories we prefer to tell our children is that capitalism is a dangerous, soulless, relentlessly exploitative exercise. Indeed, this story is so preferred as our received wisdom that it is exceedingly rare to hear anyone recent Adam Smith’s magical insight, that good things can and do come from people pursuing their own, sometimes narrow, objectives. The anti-capitalism view is an ideological fixture of our education systems at every level, from grade to graduate school. We could call it orthodoxy if it were not so much like boilerplate. It’s not so much argued as assumed. Capitalists are sanguine. Apparently, they don’t feel they have to tell the story of capitalism. Somehow capitalism will teach its own lessons. Once people escape the magic kingdom of education, the truth will dawn. Once they have spend a little time in the marketplace, the penny will drop. Or, as the English like to say, "if a man’s not a Marxist at 20, there’s something wrong with his heart. But if he is still a Marxist at 30, there’s something wrong with his head." "People tend to impute good motives to government. And if you assume that government officials are well meaning, then you also tend to assume that government officials always act on behalf of the greater good. People understand that entrepreneurs and investors by contrast just try to make money, not act on behalf of the greater good. And they have trouble seeing how this pursuit of profits can lift the general standard of living. The idea is too counterintuitive. So we’re always up against a kind of in-built suspicion of markets. There’s always a temptation to believe that markets succeed by looting the unfortunate." And I think this gets at some part of the heart of the problem. Capitalism is, as Becker says, counterintuitive. It tells a bad story. In fact, it isn’t a story. It is anti-storyish. Capitalism doesn’t have heroes. It doesn’t have people called to higher motives. It doesn’t have noble sacrifices for the good of others. It doesn’t, usually, have daring action on a public stage. No, capitalism is just has some guy who owns a handful of dry cleaning outfits in a small town in New Hampshire. He works hard, supplies a service, pays off his loans, coaches Little League, goes to church, gets his kids through college, and spends his very few disposable hours on the golf course. Script! Casting! Someone call the studio! This is appalling. It doesn’t matter that out of these mundane activities in lots of towns big and small, played out by millions of people across the US, something remarkable will come. This just isn’t a story anyone wants to listen to. So no one much wants to tell it. Not Hollywood. Not our mythmakers. Not our story tellers. The economist has spoken. It is a little clearer why we do not tell the story of capitalism. It just doesn’t tell very well. But if the anthropologist may join in here. Can we at least acknowledge that there is something fabulously odd about a culture that depends on capitalism but that will not ever acknowledge it in the stories it tells itself about itself. Robinson, Peter. 2010. Basically an Optimist–Still. The Wall Street Journal. March 27 -28. p. A13. Note: This post reposted December 23, 2010. It was lost due to Network Solutions incompetence and only just tonight resurfaced on the net. 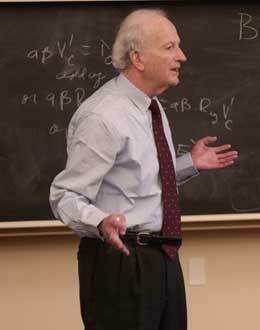 This entry was posted in Uncategorized and tagged anti-stories, capitalism, economics, Gary Becker, Peter Robinson, stories, University of Chicago on March 30, 2010 by Grant.